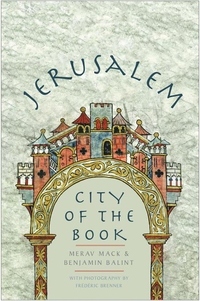 In this enthralling book, Merav Mack and Benjamin Balint explore Jerusalem's libraries to tell the story of this city as a place where some of the world's most enduring ideas were put into words. The writers of Jerusalem, although renowned the world over, are not usually thought of as a distinct school; their stories as Jerusalemites have never before been woven into a single narrative. Nor have the stories of the custodians, past and present, who safeguard Jerusalem's literary legacies. By showing how Jerusalem has been imagined by its writers and shelved by its librarians, Mack and Balint tell the untold history of how the peoples of the book have populated the city with texts. In their hands, Jerusalem itself--perched between East and West, antiquity and modernity, violence and piety--comes alive as a kind of labyrinthine library.